Do you have old outdated trim in your home? There is an alternative to replacing the wood. Most people are amazed at the end result if the right product is used with the right technique. In this Breckenridge home we changed the trim from an olive green to a light walnut color without replacing the wood, thus keeping the changes to the home within a reasonable budget. 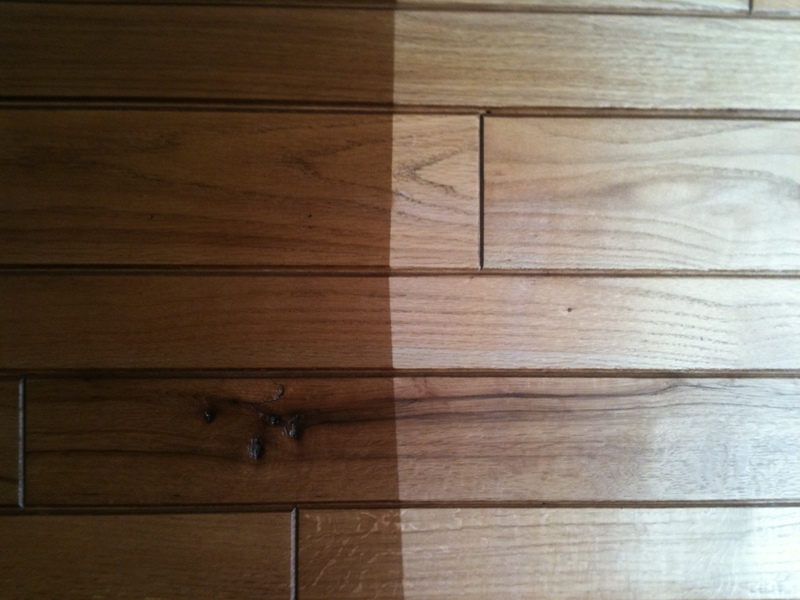 We did run into a few problems as they previous finish was likely a waterborne stain. We decided after sampling that using our go-to Shellac would act as a bond for our top-coats. Shellac never lets us down. After sanding and sealing with shellac we applied one light gel stain coat and removed 80% before it dried. Our second coat was a light brush to get the wood effect. This is by far the trickiest part. It is very easy to apply too much, thus leaving a thick solid lookiing coat. 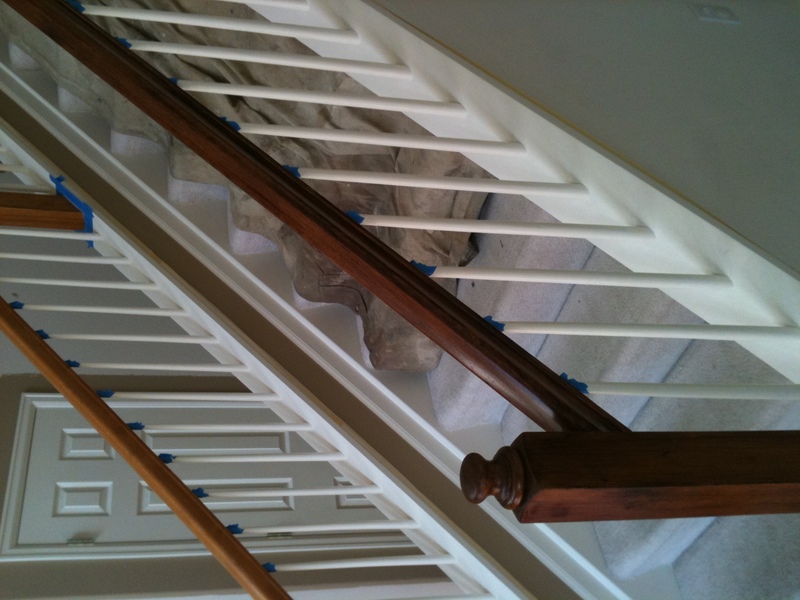 We top-coated with satin polyurethane. Stay tuned for more videos and photos of out gel stain projects! 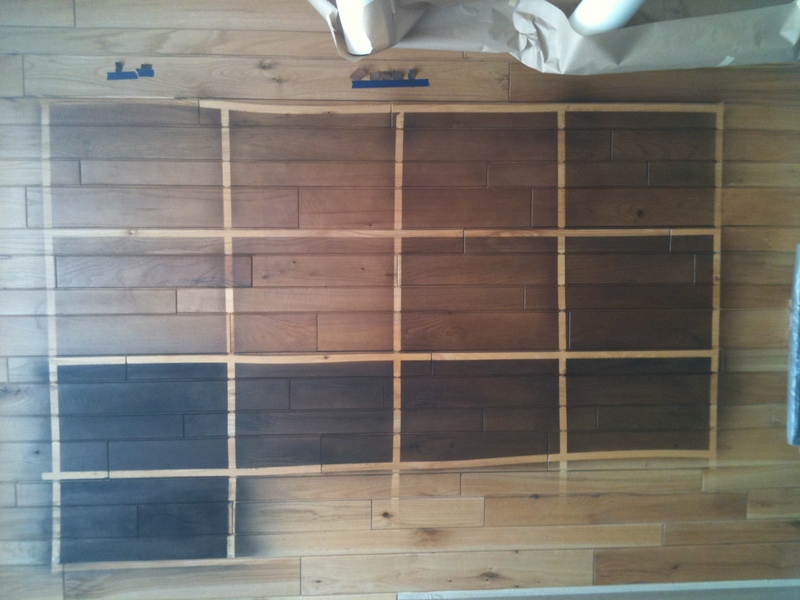 This sample section of tongue and groove wood walls was conducted to determine an appropriate tone and color for a large residential remodel project. The original oak wood was too light for the design team and we were contracted to solve the problem of darkening all the trim, doors, tongue and groove and windows in this 5000 square foot home. A daunting task to say the least. Stripping the wood was not cost effective nor was gel staining this large volume of wood. 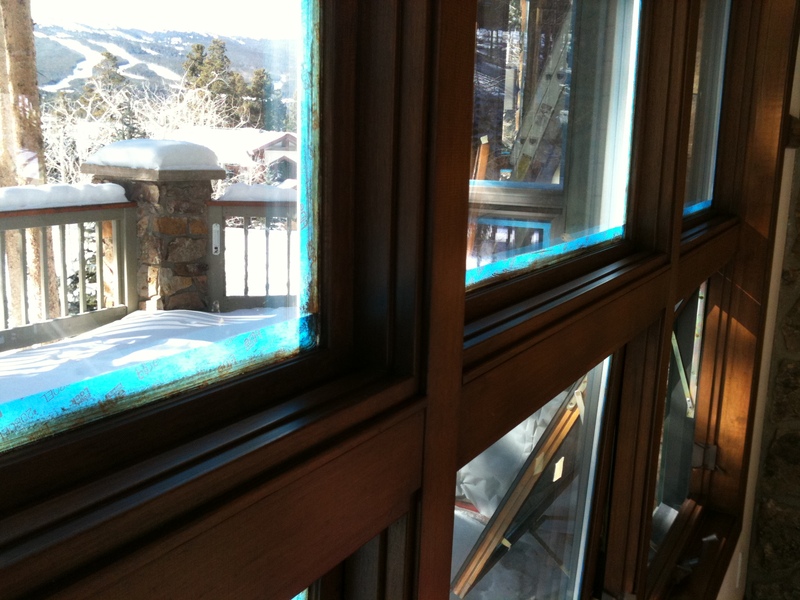 Consulting with a master cabinet finisher and numerous experts, we concluded that fogging the wood with shellac based alcohol dyes was the answer. Our samples we sprayed were surprisingly versitile in tones and of higher quality than expected. Our first issue was determining which solvent to clean the wood effectively and the second issue was the concentration of various solvents in the shellac dye. It took about 3 days of trial and error to come up with the right variables to achieve a new brilliant wood finish. The design team ended up going with the 7th sample (left to right). We were confinced our finishing system would work on the large scale. Fogging wood, toning wood and glazing cabinets on a small scale was one thing, this was another. The outcome after numerous hours of work impressed our team and we were contracted to move forward. This job would take some 170 hours of cleaning the wood along with 3 weeks of a spraying by our master finisher and a helper to complete some 31 windows, 62 doors (jambs and casings) and 5000 + square feet of base and tongue and groove. Once all the kinks were worked out (which there were a handful) we moved along at a normal pace.